This one didn’t turn out as good as I wanted. He’s one of my favorite video game characters. I really have to practice my shading a lot more. His face is all wrong too. This was the first time I’ve tried shading cloth…that turns out to be extra hard (for me). 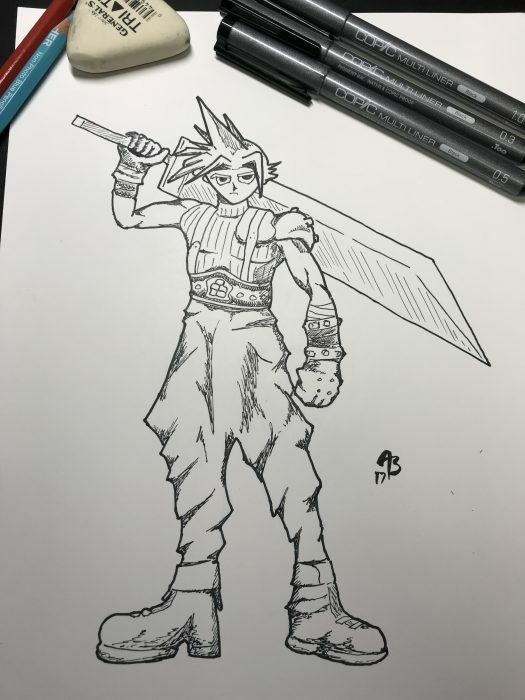 Cloud was still fun to draw but needs a lot more work. Trying new things and getting better is what Inktober is all about though, so this was good practice.